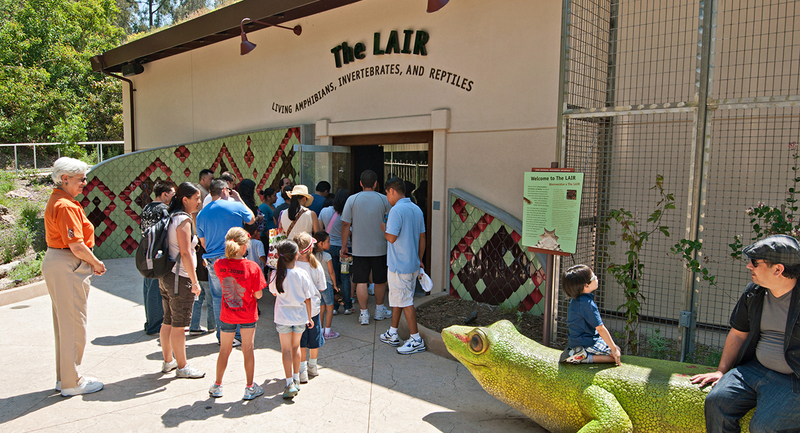 Head to the LA Zoo to see some of the rarest species shown in North American zoos—some of which are not showcased anywhere else in the world. These stunning creatures were here on Earth well before humans, but now depend on us for their survival. 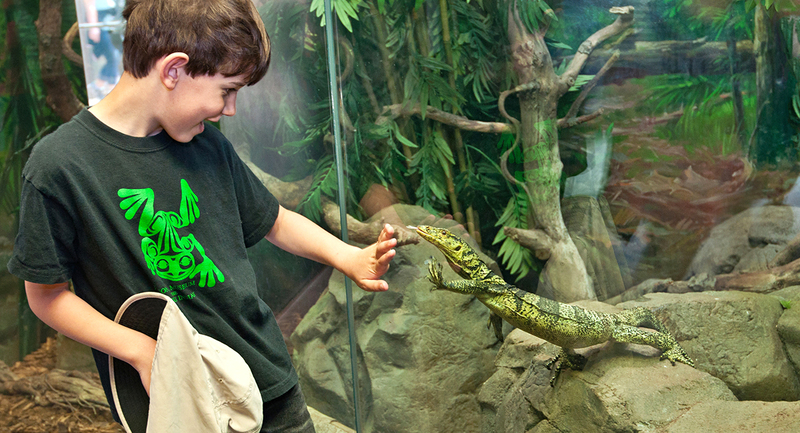 Living Amphibians, Invertebrates and Reptiles (LAIR) is a two-building complex that houses much of the Zoo’s diverse reptile and amphibian collection in a state-of-the-art, 10,000 square-foot facility. A rich interior plant collection and lush exterior gardens also enhance the Zoo’s botanical holdings. 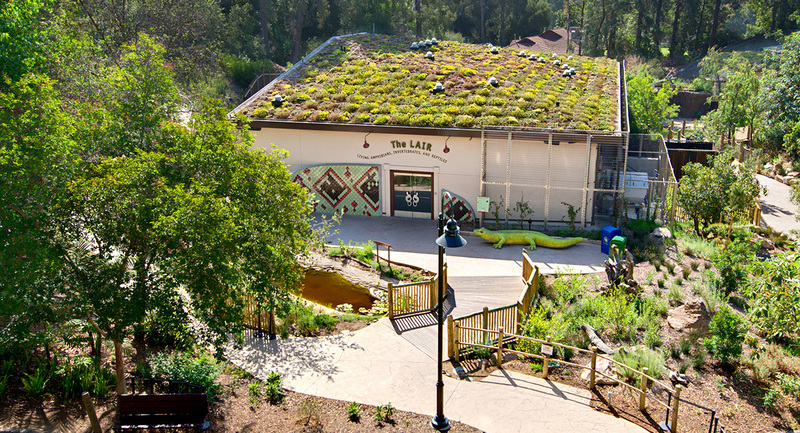 The LAIR complex was designed with biomimicry, buildings and the environmental program mimic the responses of the living inhabitants to their habitats. Two separate environments house amphibians and reptiles from warm, moist and shady environments, and from the sunny and dry Southwest deserts. 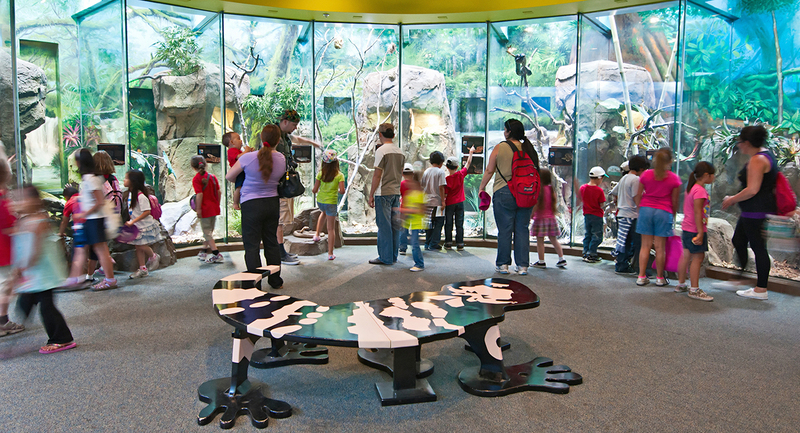 Visitors are swept away into the depths of Damp Forest to find neon green Fiji Island banded iguanas, tiny brightly colored poison dart frogs and the world’s largest amphibian, the Chinese giant salamander, which inhabits a mountainside stream with underwater viewing. You’ll see serpents like the Mangshan viper, the green mamba and the bushmaster, the largest venomous snake of the Americas. 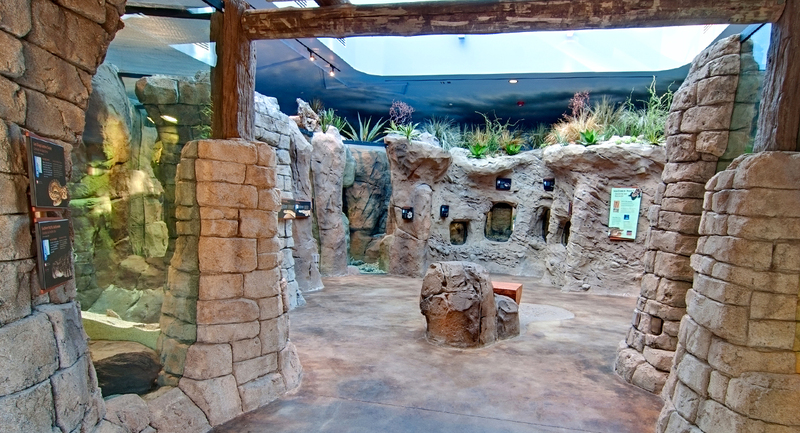 In the Desert LAIR, you’ll see snakes, lizards, toads, turtles, scorpions and, of course, the Gila monster. You’ll also see and hear lightening, thunderstorms and monsoons. 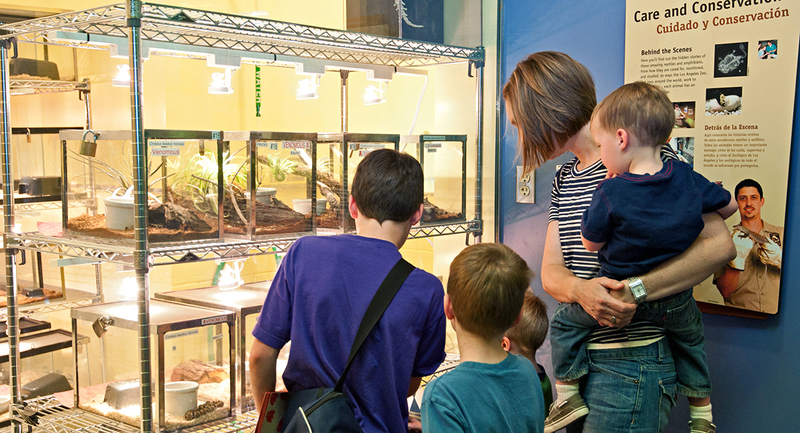 Visitors learn about species conservation as keepers perform daily activities that normally happen behind-the-scenes, including food prep, nursery care for young reptiles, and reptile egg storage. Both buildings feature living roofs, exterior insulation over massive concrete and block structures, and extensive use of daylighting.